Meet Jake Belair! 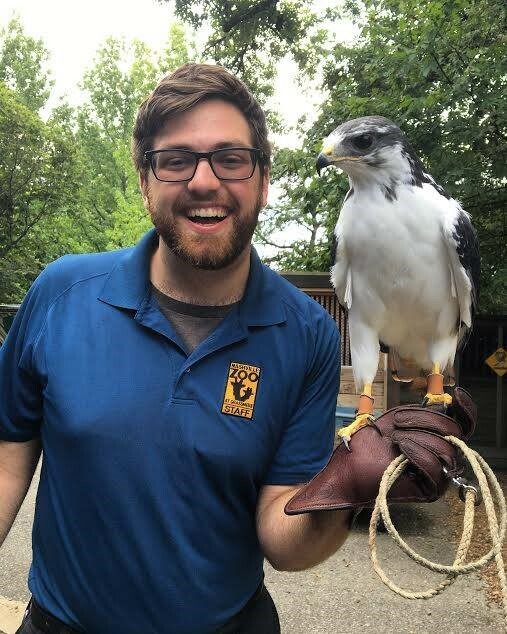 Jake is currently an Ambassador Animal Keeper at the Nashville Zoo at Grassmere. His favorite avian species he has worked with are ferruginous hawks and kookaburra! Jake was inspired to take the test because "I wanted to take the test to prove to myself that I have a good understanding of operant conditioning and current trends and practices in bird training." He says being certified "definitely helped show potential employers that although I'm young, I do have a sufficient base of knowledge. It also serves as a constant reminder to continue to hold myself and my peers to the highest standards possible." If you are thinking about getting certified, "read the suggested materials and more--I went through psychology journals and animal behavior textbooks in addition to the materials offered. And pay attention to current "best practices"!" Are you signed up for the Fall Testing Cycle?! Testing Dates start September 15! The testing cycle will run October 21 to November 4, 2017. The CPBT-KA credential is valid for 5 years from the date it is awarded. To renew the credential a certificant must either re-take the examination after 5 years or accumulate sixty Continuing Education Units(CEUs) by attending IATCB approved workshops, seminars, classes, or conferences. Head over to http://www.iatcb.com/staying-certified/ceu-events to check out a list of approved CEUs! They are the largest species of the Kingfisher family, weighing in between 13-16 oz. They stand 15-18 in, are carnivorous and live for an average of 20 years. Although the Laughing Kookaburra is probably the most well-known, there are a total of 4 species of Kookaburras found in Australia, New Guinea and the Aru Islands. They include the Rufous-bellied, Spangled, Laughing, and Blue-winged. 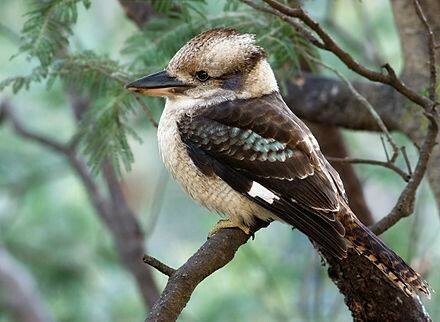 Kookaburras are territorial and occupy the same well-defined territory all year long. They tend to congregate in groups of three or more, the breeding pair and helper(s). These helpers, who are mostly male, assist with the nesting duties and help protect the breeding pair's territory. It has a prominent bony ridge in the back of its skull, like the Kingfisher, and strong muscles in the neck that aid in killing prey. It accomplishes this task by bashing its victims against its perch. In juveniles both their beaks and tails are shorter than those of the adults. Their beaks are black when born, but as the first three months elapse they turn a bone color. Additionally, their plumage tends to be darker when the young are first hatched because it is new, but it lightens in the first six months. Sexual maturity and adulthood are reached at one year of age. Fun movie fact: do you remember the old Tarzan movies? The monkey calls in those movies, were actually calls of the Kookaburra!